Since its founding in 2007…. 400+ invitees, almost all are startup founders, execs or investors. 2,300+ poker seats fill by founders, execs and investors. 66,300 opportunities to meet a peer, get some help, find a resource. $45K+ cash and prizes — how’s the for redistribution of wealth? 100% of every buyin went back to the players. $0 spent for event admission — Poker 2.0 is always free. 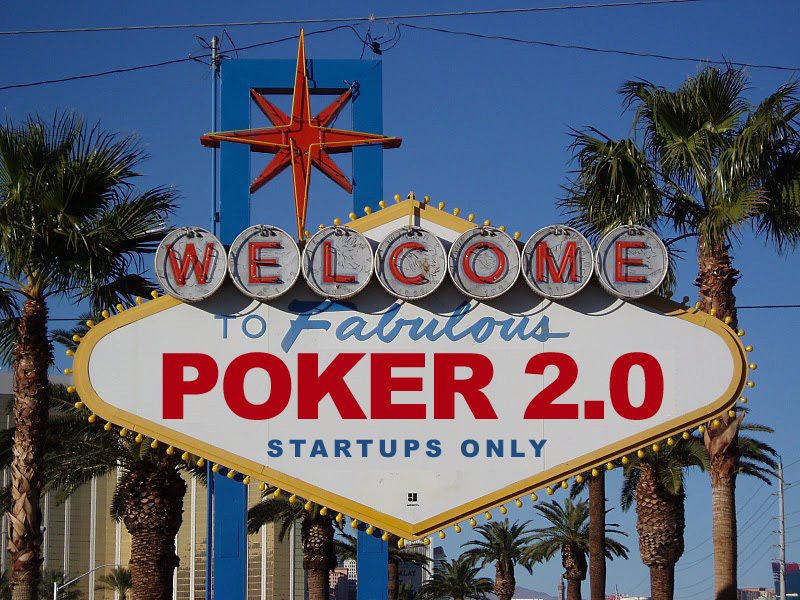 What did attendees get out of Startup Poker 2.0? Players got funded. No, really. Players got fed… and pretty well I’d have to say. Players found the right office space. Players found the right attorney. Players found help with business challenges. You all, the players and sponsors, have made Startup Poker 2.0 into what it has become and I’m humbled by what it has accomplished. And Startup Poker 2.0 is done yet. I’ll have some fun announcements to make in the coming months so stay tuned. Wow! SP2.0 really has grown since the early days. Congrats (and thanks), Bob, for kicking this off and making it into what it is today. Great job!